Today we are interviewing Pat McDermott, author of several romantic adventures set in Ireland. Alexis: Hi Pat. Thank you for visiting Happily Ever After Thoughts :-) What inspired you to try a young adult novel? Pat: Thanks for having me, Alexis. I’m delighted to be here. I had already written my “Band of Roses” trilogy when an acquaintance suggested the YA angle. I knew nothing about YA, but soon became engrossed in these delightful, multi-genre stories. My adult books, set in a modern Ireland still ruled by the heirs of High King Brian Boru, follow the adventures of the Irish royal family. I started writing with the characters as teenagers, a sort of “prequel” to the trilogy, and I had a great time. Their romantic escapades are a tad sweeter than those of their grownup personas, but their adventures are just as exciting, thanks to the troop of unpredictable Irish fairies who’ve joined the cast—and I don’t think they mind being part of the story. The book recently received a 5-star reader review! Alexis: Wow! Congratulations on the review! This story sounds wonderful. Can you tell our readers a little bit about, Glancing Through the Glimmer? Alexis: This sounds like such fun. Where did you get the idea for this story? Pat: The Scottish legend of Tam Lin and the myths surrounding Finvarra, the King of the Connaught Fairies, provided inspiration. Most of the plot and subplots developed as I wrote. Alexis: Ah, legends are great inspirations. What are your favorite character traits of Janet and Liam? Pat: Janet’s resilience impresses me. An aspiring young actress, she uses role-playing to help her adapt to her “fish out of water” life in Dublin—and to charm Liam. Liam is a scholar, a smooth-talking poet-prince who becomes a reluctant hero when ancient magic imperils Janet. Alexis: I can see the adults in these two characters already :-) This book is set in Ireland. Do you have a special affinity for this country? Pat: My O’Brien grandparents emigrated to the U.S. from County Sligo in the early 20th century. I grew up hearing the myths, the songs, and the history. My kids were nearly grown before I finally got to see Ireland myself, and I’ve been back several times. The scenery is gorgeous, and diverse. Wherever you go, you’re never far from the sea, and the ruins of castles, towers, and abandoned homesteads dotting the countryside are constant reminders that Ireland has been around for a long, long time. Alexis: How lovely that you have been able to visit the place you set your stories in. What can we expect next from you? Do you have any new releases coming or a work in progress? 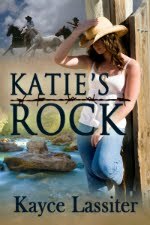 Pat: The “Band of Roses” trilogy, A Band of Roses, Fiery Roses, and Salty Roses, is coming in 2012 from MuseItUp Publishing (the first two are re-releases). Right now, I’m sprucing up Autumn Glimmer, in which Liam and Janet return for a Halloween weekend they’ll never forget. Alexis: Excellent! A whole trilogy plus a prequel. Thank you so much for telling our readers about your lovely Ireland set stories. We appreciate you coming for a visit. Pat: Thanks again for having me, Alexis. I’ve enjoyed chatting with you. Alexis: Check out this excerpt from Glancing Through the Glimmer. Alexis, thanks so much for inviting me into your blog home today. It's a pleasure to visit Happily Ever After Thoughts! I love Pat McDermott and her ability to make the fairy world real! We all need a little "glimmer" in our lives! Great interview and congrats on your latest release, Pat. I am sure this one will do fantastic. Gail, ain't that the truth! Much of my personal "glimmer" comes from my online friendships. Oh, and the fairies, of course (I can't forget them, my hair or something worse will fall out) Thanks for stopping by! Edith, the Howth cliff walk is one of my favorite places in Ireland. So inspiring, and a perfect spot for Janet and Liam's first date. Almost... Great to 'see' you here! BJ, thank you for the good wishes, and for taking the time to stop by. A published poem about fairies! I'm impressed. As they clearly gave their permission, you must have done them proud. Best to you and your lucky students! Pat, the book sounds wonderful. I see big success in your future, young lady. Hope you're having tons of fun. I love the cover. Great interview, ladies! Congrats on what sounds like a fun story, Pat! I've only been to Ireland once, but I totally agree with your description. I hope to get back someday. @Killarney, I'm so glad you have one of the prettier names! Most of them are picturesque, but a few are...entertaining. @Joylene, I'm having a blast. And yes, the cover artist did a gorgeous job on the cover. @Alexa, I hope you do return to Ireland someday. We should all meet in a pub somewhere! Thank you all for keeping me company here today, ladies! Hi Maegan. I think it's a great book :-) Thank you for stopping by. The premise of this book is a real winner. I love books that have that "other realm" feel to them, even if contemporary in nature. Sometimes I think we need that feel in our lives just to make a day bearable or intriguing. Good job, Pat. Now I know I'll have to real them all just to be satisfied that I haven't missed anything. Thank you. This was a lovely interview, too. May your sales soar and your ports of call inspire more adventures. @Hello, Claudsy. I suspect many writers, and readers, love to escape into other realms. Real life can be monotonous at times. No worries about missing the other books. Two will be re-released next year, and the third debuts after them. @Maeve, IMHO, legends endure because they've been honed over time into such wonderful stories. Perhaps modern tales will get there one day, but for now, those legends and their variations are unbeatable. So nice to visit with you, ladies. Thanks! Great interview, Pat. Best of luck on Glancing Through The Glimmer. I guess it goes without saying that I'd like to be entered in your give away! Deb, I'd give away a copy of the book to everyone here, if I could. Thanks for being such a great supporter! 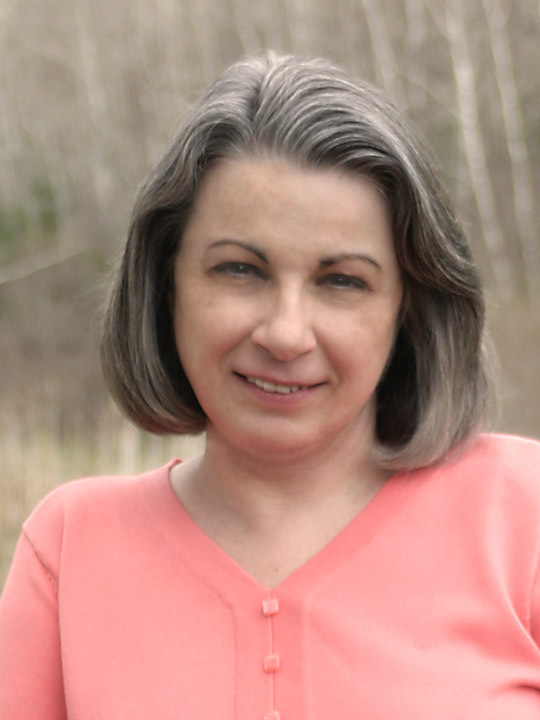 Wonderful interview and I adore (having written one myself)fantasy books with fairies. 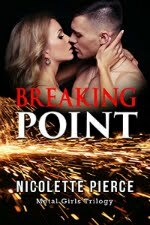 And intriguing plot...so enter me in your giveaway, please! Conda, you are entered. Great to see you here. Thanks for stopping by! Great interview Pat!! I'm keeping fingers and toes crossed that I win..also put the link on the Long Distance Book Club today. Hi Nancy! Great to see you here. Thanks so much for stopping by and for sharing the link with your Book Club. Good luck with the drawing! Had to stop by & say Hi. I love all things Fae too, which is actually how I chose my pen name and have worked it into my Author Brand platform as I start my writing career. Have my first book, a self-pub title set in 17th c. Ireland, coming next February. Huge Congrats to you Pat on this new book and your upcoming Trilogy release next year, I'll be sure to check them out for sure. Take care, Best of Luck! Marissa, I'm excited about your February release! Keep us posted! And I want to hear more about your trip! When are you going, where are you going, all those details I love to hear. I also love how you worked "Fae" into your name, and I suspect you have "Their" permission to do so :-) Thank you so much for you good wishes (and right back atcha), and for dropping by to keep me company. Wendy, I'm laughing as I type! I'd love it if my Glimmer fairies helped you learn to use the Kindle Santa is sure to bring you, since you've been such a good girl this year! Hehehe. Thanks so much for visiting! 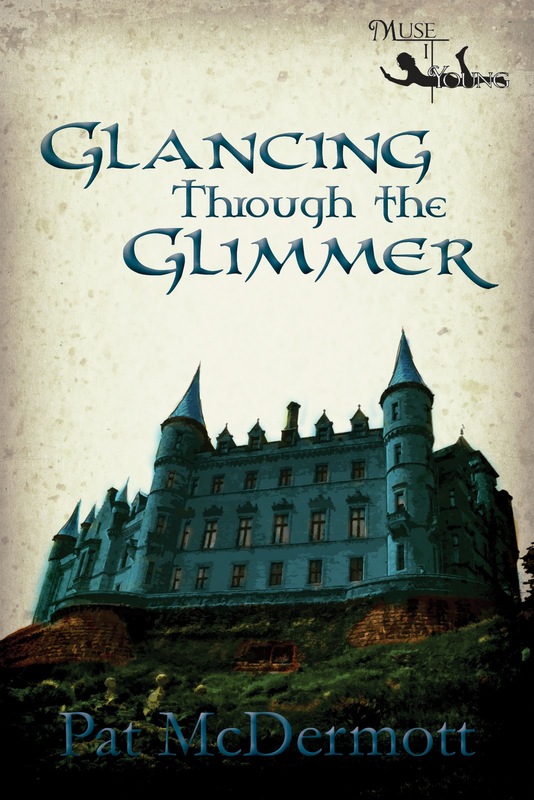 It seems Wendy is the winner of a PDF copy of Glancing Through the Glimmer. Congrats, Wendy. The book is on its way to you. Thanks again for hosting this "Glimmer" party, Alexis! I'm the WINNER!!! Yeah!!! Thank you!!! My first Christmas present. Glancing Through the Glimmer will go straight onto my new Kindle when I unwrap it on Christmas Day. This is so exciting. Thank you Pat and Alexis. I know I'm going to love this book. Pat, it was my pleasure :-) Come back again soon!